If there’s one thing Pittsburgh summer’s are, it’s a lot of fun. 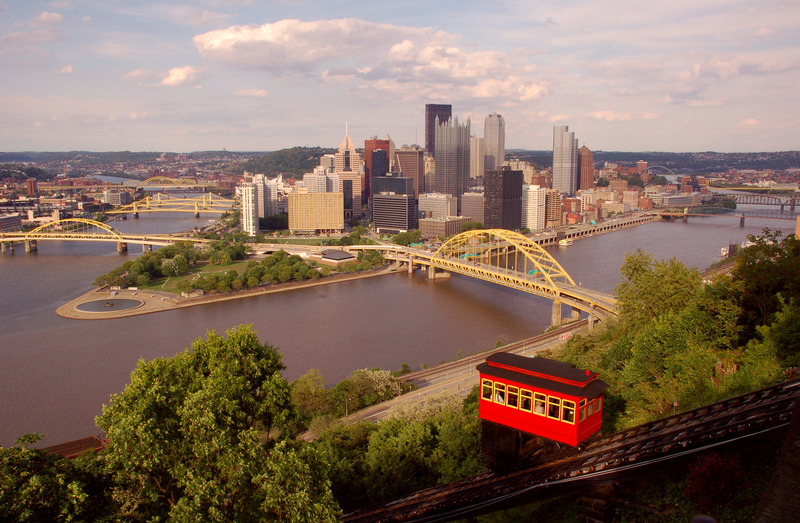 Think about it - there are art festivals and gallery crawls every few weeks, the hiking trails look the best they have in months, and PNC Park is open on a regular basis for those of us interested in watching our city play ball. But with so many fun things for us to go and do, it can be easy for a few basic healthy habits to slip our minds as we make summer plans. 1. Always wear sunscreen. How many times have you said or thought this:“It’s cloudy out - I don’t need sunscreen!” You’re certainly not alone in thinking this, but unfortunately it’s not the case - and if you’ve gone outside without sunscreen on a cloudy day you’ve exposed your skin to more sun damage than you think. The American Academy of Dermatologists (AAD) indicates that up to 80 percent of the sun’s UV rays can pass through clouds. Because of this experts often say that there’s no such thing as a sunless day. So to prevent skin damage and protect yourself from premature aging or even skin cancer, keep your sunscreen on hand at all times and reapply it every 2 to 3 hours, and make sure it (and your chapstick!) has an SPF of at least 30. 2. Stay hydrated. It’s easy to forget to bring a water bottle if you’re going out for a quick walk or hopping into your car to run some errands. But during the summer - when dehydration occurs the most - it’s especially important to keep water on hand at all times, just in case you make a last minute adjustment to your plans. Remember, your body needs to stay properly hydrated to function properly, meaning that even mild dehydration can potentially interfere with basic organ system functions if it’s not addressed. Not drinking enough water can also lead to potentially life-threatening conditions such as heatstroke, at which point your core temperature begins climbing since your body can no longer cool itself off on its own. Fortunately it’s extremely easy to prevent dehydration and the problems that come with it: just drink plenty of fluids - water is always best! - and stay out of the sun whenever possible, especially between 10am and 3pm, when the heat is at its highest. In short, exercise can put strain on even the fittest bodies if they’re pushed too hard. Worse, if you don’t drink enough fluids or exercise too long, your body’s natural cooling systems could fail and you could find yourself suffering from a range of heat-related illnesses. Don’t think this means you can’t keep working out while outdoors. You can, as long as you’re careful. Read up on the symptoms of heat-related illnesses so you know what to watch out for. Always bring plenty of fluids to your workouts, and whenever possible, exercise early in the morning or in the evening, when temperatures aren’t as high. Remember, there’s no reason you can’t keep going out and enjoying your summer. However, it’s best to do so while ensuring that you’re staying as healthy and safe as you can be - nothing puts a damper on summer fun like a hospital visit! Questions? Concerns? General comments? Feel free to post them here and we’ll get back to you!